The oldest known shipwreck on Earth is 3,400 years old trading cargo, found and excavated in Uluburun near Kas, in the Mediterranean region of Turkey. It belonged to the Late Bronze Age (a period roughly between 1600-1050 B.C.) — an era symbolised by the rule of Egypt’s Tutankhamen and the fall of Troy. 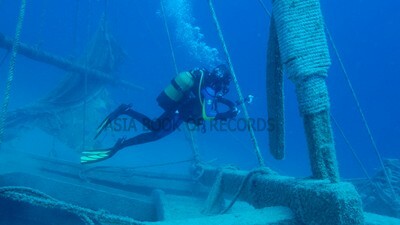 Comments for OLDEST KNOWN SHIPWRECK are now closed.